The saying has it that if the first generation makes a fortune, the second one breaks it. There are many reasons why an inheritance can simply vanish, apart from being squandered by a profligate heir; split by divorce, surrendered to pay creditors or legal costs, or siphoned off by the taxman. 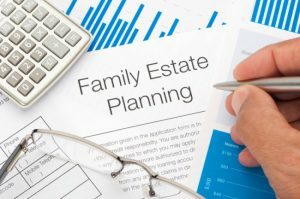 Fortunately there is a way to ensure your Estate will provide for your loved ones when you are gone. That way is a Testamentary Trust. The terms of Testamentary Trusts are contained in the Will. They can include restrictions on any or all of the beneficiaries or conversely, grant them extensive control. In effect, these can enable you as the Will-maker, or testator, to rule from the grave. It is up to the testator whether they vest control in the beneficiaries or in the hands of an independent trustee. Giving control to the beneficiaries allows a greater degree of flexibility; but a managerial trustee may be better if the beneficiaries are not able to control their own finances. A lawyer from our team will be able to advise you on what sort of trust best suits your circumstances. Because Testamentary Trusts frequently grant trustees full discretion over the bequeathed assets, you should think carefully about whom you appoint as trustee. Although it is common for testators to appoint family members or friends as trustees, this can be awkward if there is a potential conflict of interest. For this reason, some lawyers recommend an impartial trustee. In addition, trustees need to be capable of keeping regular and accurate financial records. These will need to be detailed, as required by the Income Tax Assessment Act 1936 (Tax Act); but they will also need to be maintained in the long term if a Testamentary Trust is designed to last the beneficiary’s lifetime. Despite the expense, it might be worthwhile considering a professional accountant as a trustee. Firstly, Testamentary Trusts can make sure the inheritance reaches the intended recipients. An independent trustee can guarantee that vulnerable beneficiaries, such as very young children or the ill, incapacitated or disabled, will be provided for. Testamentary Trusts are also a wise precaution if the beneficiaries may face legal action or bankruptcy, such as those in professions frequently subject to litigation, or high-risk business. Trusts also guard against the often-divisive aftermath of divorce, and ensure that in the event of remarriage, assets will be passed on to the children or grandchildren of the testator. The second main advantage of Testamentary Trusts is that they allow any income, capital gains and franked dividends to be parcelled out to the beneficiaries in the most tax-efficient way. By splitting the income from the trust, benefits can be distributed between the children so that they amount to less than $6000, the current tax-free threshold; or between $6000 and $14,000, which is taxed at lower rate of 15%. As Testamentary Trusts are discretionary, a financially savvy trustee can adapt the distribution to changing circumstances. However, for the ordinary rate to apply, the Testamentary Trust must not be intended merely to evade higher tax rates, but must be primarily for the benefit of the child. This would cover such things as food, clothing and education. There are some potential disadvantages of Testamentary Trusts, especially if they are not drawn up skilfully. As trusts are often designed to cover entire families and endure lifetimes, this may bind the beneficiaries to an agreement after relationships have broken down. If the beneficiaries can no longer agree, a trust may have to be wound up. Sometimes people feel unfairly excluded from a share of the inheritance and are motivated to challenge a testamentary trust in court. If a court agrees that the testator had a responsibility to provide for the person, then under the Succession Act 1981 (Qld), (or other similar Acts throughout Australia) the court can order that costs covering maintenance and support are paid from the Estate. A Testamentary Trust will protect your bequeathed assets. However, it requires detailed thought and planning. Above all, you need advice from an experienced lawyer. If you are considering setting up a Testamentary Trust, our team will be able to help you.